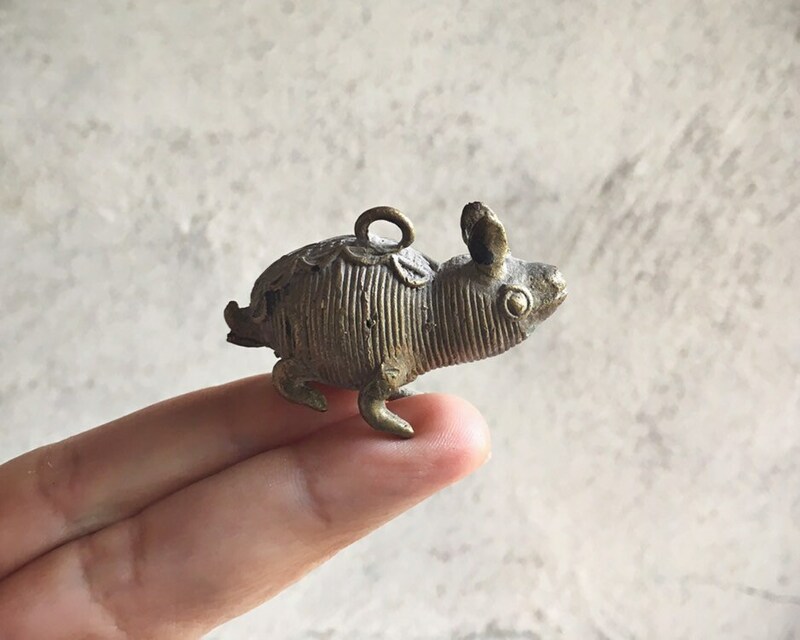 This small vintage brass rabbit or mouse figurine was made in eastern Indian using a casting method called lost wax, or Dhokra (also spelled Dokra). 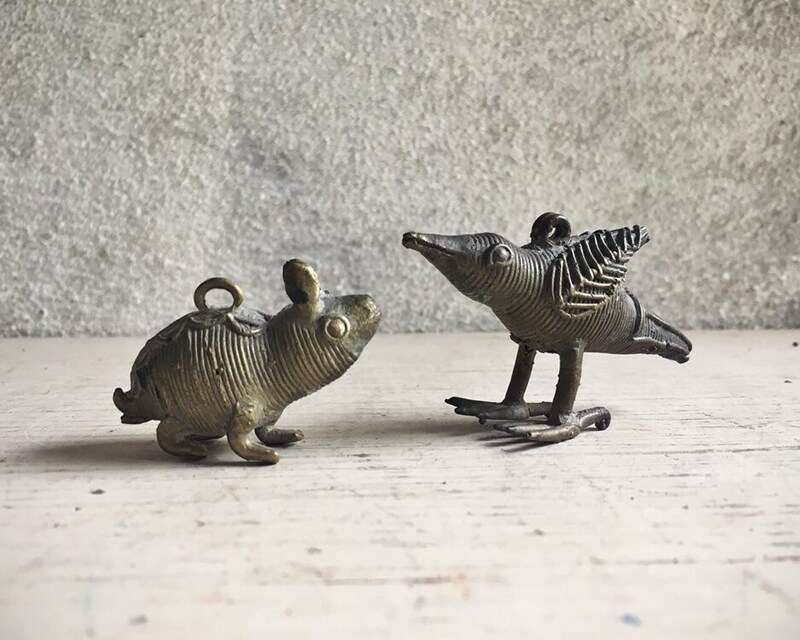 The thing about lost wax is that it creates the illusion of small lines etched into the metal. A small ring attached to the back of the crow can be used to attach twine for hanging, or a jump ring. Although it would be big for a pendant, it certainly could be used for one, but I will send with hemp twine for use as an ornament. 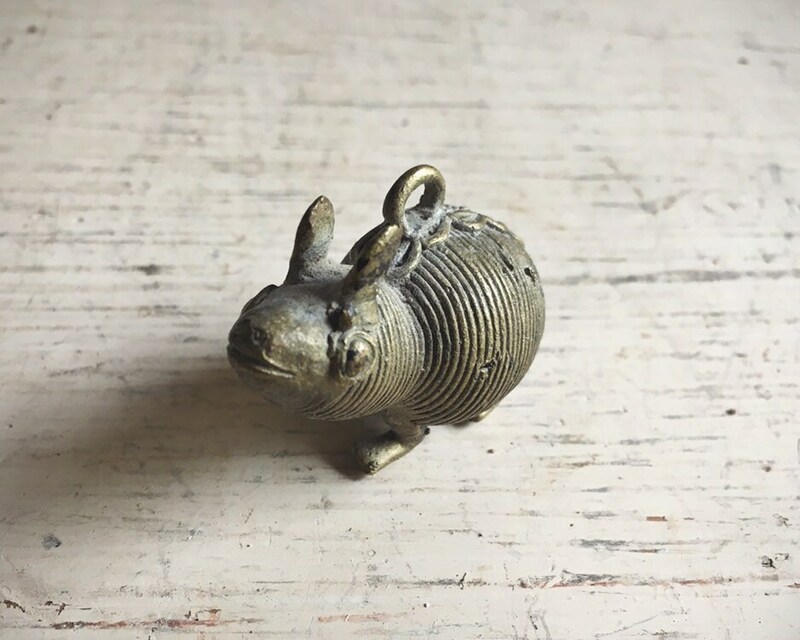 A sweet and super unusual gift for the collector of bunnies or mice. 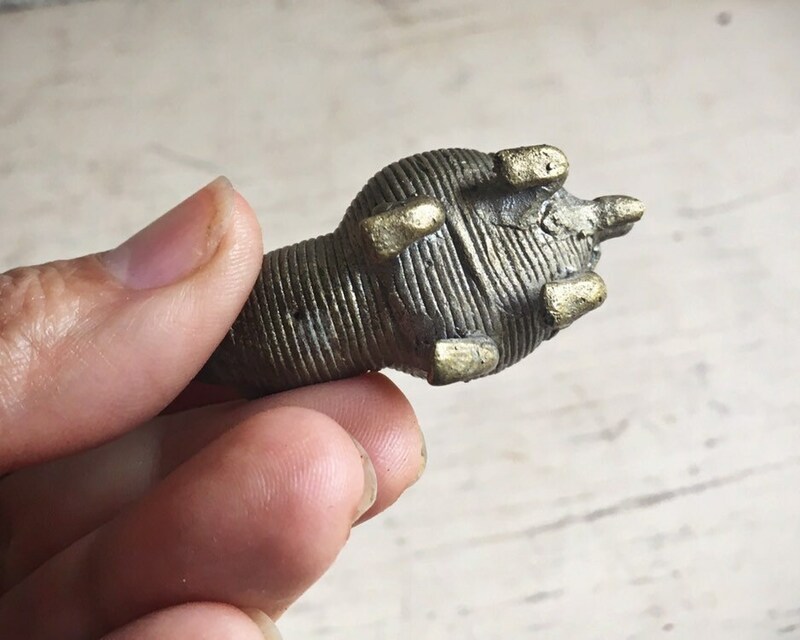 Measures just under 2" from tip of nose to tip of tail, and 1-1/4" tall. 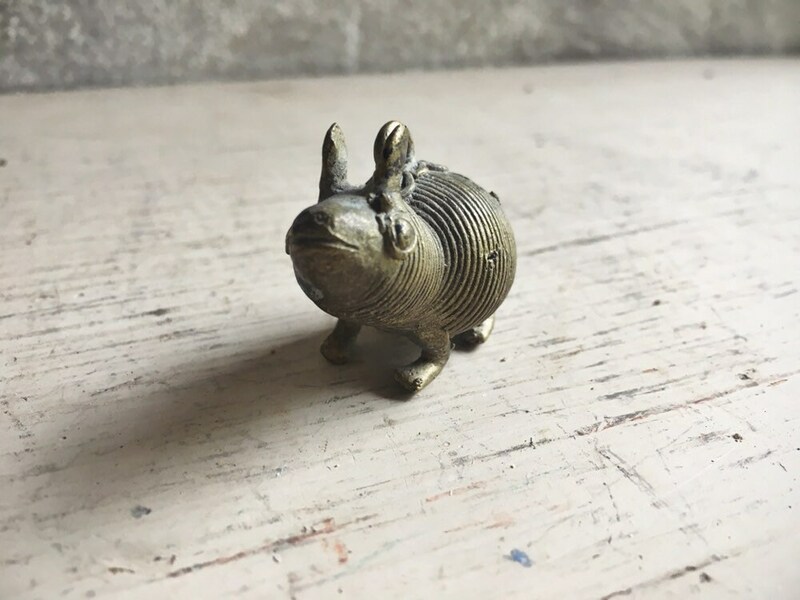 The bronze alloy has a golden hue, and there is some residue of powdery white tarnish. Some bunny is going to love this little guy.